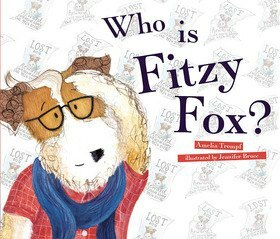 Amelia is a Melbourne-based children’s author, and is very excited about her debut picture book Who is Fitzy Fox?. After school, she went on to study creative arts at University of Melbourne, where she majored in printmaking and creative writing. She subsequently completed a Post Graduate in Education and worked as a primary school teacher for seven years. It was during this time that Amelia’s love of picture books was rekindled. Realising the power of picture books in promoting literacy and facilitating class discussions, Amelia started to write stories for her students. A little homesick in Scotland five years ago, Amelia wrote the first draft for Who is Fitzy Fox? on a scrap piece of paper. She has immensely enjoyed the creative process of bringing her story to life with her illustrator Jennifer Bruce, together with Little Steps Publishing and can’t wait to get started on her second book. Besides writing, Amelia now teaches part time and spends the rest of the time with her young son, who luckily loves reading as much as she does!